Techniques include hair integration, weaves, enhancements and customized hair pieces to suit all preferences. “The best thing about our treatment is that you’ll never have to break the bank to undergo invasive procedures just to regain your crowning glory back. Our free consultations courtesy of our experienced team will help you decide which current offer will please you the most,” shares Sandy Giff, owner at Shallamar’s. Clients who wish to undergo such procedures usually come for varied reasons, and the majority of them is caused by ongoing baldness. For women this could mean a lot to help them boost their social image and confidence, especially at work where there are other highly competitive women. For men, this is a way to conceal the reality that they’re not getting any younger. Whatever the reasons are, the cosmetics industry has solutions for that but they’re not very pocket-friendly. The average hair transplant costs roughly $10,000 to $15,000 or probably more depending on what clinic does it or if there are other procedures to be completed right after [also amount of hair to be transplanted]. And as with any surgery, these too come with risks which any patient must discuss with their attending surgeons first and foremost before agreeing to do it. With non-surgical treatments, there had been tremendous alternatives now available to the general public at very affordable prices. Not only is it cheaper but also faster and there’s no more healing time to think about after. 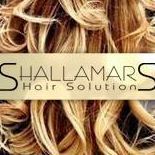 Shallamar’s doesn’t just provide excellent services before and during the procedures, their team makes it a point that every customer who undergoes any of these non-surgical treatment will be able to receive valuable tips to help preserve this look. This includes suggestions on best shampoos, conditioners and other hair protection products for better maintenance.